Kirsten and Michael April 2016 Killarney. 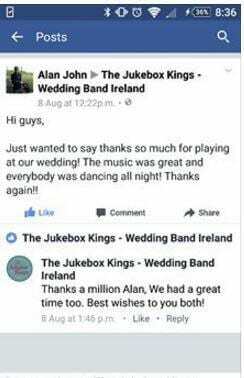 Jukebox Kings Wedding Band Review. “We wanted to say thanks very much for the music on the night of our wedding, 7th August 2014, at Step House Hotel, Borris, Carlow.